The following are the latest results contributed by HM Courts Service, for cases sentenced by West Sussex Magistrates’ Court sitting at Worthing and Chichester from July 25 to 29, 2016. Jamie Edwards, 31, of Boxgrove, Goring, was given a community order and must carry out 150 hours’ unpaid work after admitting harassment without violence in Goring on June 24, 2016. He must pay £85 victim surcharge and £85 costs. John Gavaghan, 55, of Berkshire Court, The Strand, Goring, was given a 12-week prison sentence, suspended for 12 months, after being found guilty of assault by beating in Goring, on April 10, 2016. He was also given a restraining order and must pay £100 compensation, £115 victim surcharge and £100 costs. Nicola Padfield, 49, of Park Crescent, Worthing, was given a 12-week prison sentence, suspended for 12 months, after being found guilty of assault by beating in Goring, on April 10, 2016. She was also given a restraining order and must pay £100 compensation, £115 victim surcharge and £100 costs. Scott Maysey, 26, of Grinstead Lane, Lancing, was fined £420 and must pay £42 victim surcharge, £85 costs, after admitting failing to provide a specimen for analysis when required by police in Worthing. He was disqualified from driving for 42 months. 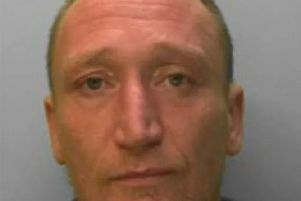 Lee Swain, 48, of Wilkinson Close, Angmering, was given a community order and must carry out 40 hours’ unpaid work after admitting assaulting a police constable in Worthing on July 3, 2016. He must pay £50 compensation, £85 victim surcharge and £85 costs. He was also fined £130 after admitting being disorderly while drunk in Chatsworth Road, Worthing, on July 3, 2016. Stewart Wormald, 42, of Dovecote Mews, Chanctonbury Drive, Shoreham, was fined £10 and must pay £30 victim surcharge after admitting entering a building as a trespasser with intent to live there. He also admitted breaching a conditional discharge order, no action taken. Reginald Acquaah, 38, of St Peter’s Place, Western Road, Lancing, was given a community order and must carry out 40 hours’ unpaid work after admitting driving in Brighton Road, Lancing, on May 29, 2016, while disqualified. He must pay £85 victim surcharge, £85 costs, and was disqualified from driving for six months. He also admitted driving without insurance, no separate penalty. Shane Cornick, 25, of Bayford Road, Littlehampton, was discharged conditionally for two years and must pay £20 victim surcharge, after admitting assault by beating in Bognor Regis on June 7, 2016. Andrew Stace, 35, of Evelyn Avenue, Rustington, was fined £120 and must pay £30 victim surcharge, £85 costs, after admitting failing to provide a specimen for analysis when required by police in Worthing on June 25, 2016. He was disqualified from driving for 12 months. He also admitted possessing 8.4g cannabis resin, no separate penalty. Luke Drew, 26, of Arundel Drive, Thornlea Court, Wick, was fined £277 and must pay £30 victim surcharge, £85 costs, after admitting drug-driving (5.6mg Delta-9-THC) in Horsham Road, Littlehampton, on May 28, 2015. He was disqualified from driving for 12 months. Mohammed Sompare, 18, of First Avenue, Lancing, was discharged conditionally for 18 months and must pay £20 victim surcharge, £85 costs, after admitting possessing cannabis in Lancing on July 10, 2016; and travelling on the railway on July 10, 2016, without paying the £3.90 fare. Jamie Wharton, 19, c/o Alpha Court, Buckingham Road, Worthing, was discharged conditionally for 12 months and must pay £20 victim surcharge, £50 costs, after admitting handling stolen goods worth £200 in Chichester on May 9, 2015.